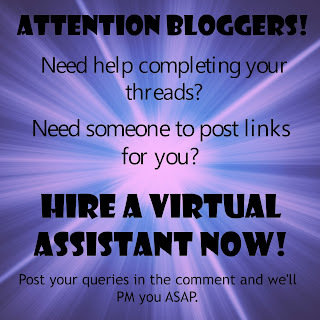 I work as a Virtual Assistant for Bloggers, helping them increase their readership by posting their links in blogging network groups and reciprocating on their behalf. Hiring a virtual assistant allows you more time to come up with creative content, product reviews and delicious recipe ideas or DIY crafts. In addition to that, you get to have more time with the people who matter the most - your family. You can mix and match any of the above Combo Package. Email me at eileen.layno@gmail.com or add me on Facebook (https://www.facebook.com/eileen.mendoza.loya) and send a message. I would love to discuss and answer any questions you have for me. I have been looking into getting a VA, but just haven't felt like the time is right. Maybe it's time now. Thanks for being so transparent. Good to know if I ever take my website full time. Right now I am able to manage these things myself. Excellent! I will definitely keep your information as Feminine Collective could use some of your help with our Facebook Page and Twitter feeds. I have no doubt people will avail you of your services. It's just too hard to do it all ourselves anymore. Virtual assistants have been very productive. I love working with them, they are very efficient with what they do. Sounds like a great deal! 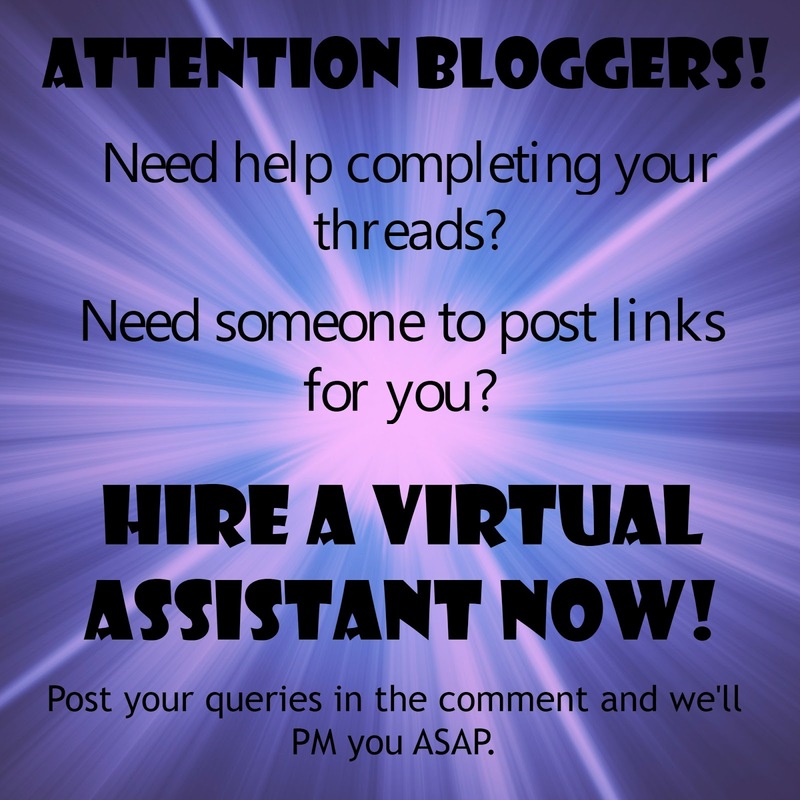 It's really nice to have a VA, they make maintaining a blog a lot more convenient for most of us who are too busy! I am a virtual assistant myself. It is very important that you build your name in this industry and people will hire you. Being a virtual assistant is a tough job but being able to help is priceless. I love being a VA! I think this is great for those that are VA's. I thought about becoming one myself. Sounds like you have some great rates too. Having a VA allows bloggers to spend more time with family without falling behind on their work. It's a win win situation! I am also a Virtual Assistant. I love that being able to help people free up their creative time is so rewarding! Blogging is hard work and it's people like us that take some of the burden off. I have a VA for the summer at least since I wanted to be able to spend time with my family! I felt like the blog was taking over too much. These services are great. I will use a VA every now and again when I am on trips but for the most part I do my own threads. It's nice to have someone in your corner like this. wow, good for you! That sounds like a full time job. Thanks for sharing! I think it's wonderful that you're doing this... It gets time-consuming to do it all ourselves! I am so glad that I hire one of the best virtual assistant. She helps me in a lot of things too. Looks like a great deal you got going on. I'd love to be able to do this but I have so many things to do already. I have always wondered what virtual assistants do. You sure do offer alot to your clients. If I ever find myself in need of one, I will let you know. Good luck and it really nice you are offering a virtual assistant service.